Tim Hudak is the CEO of Eckert Seamans. He has negotiated more than 2000 hotel management and franchise agreements and numerous real estate joint ventures for the acquisition and development of hotels and hotel secured credit facilities for more than $5 billion, in addition to hotel real estate acquisitions and divestitures totaling in excess of $10 billion. 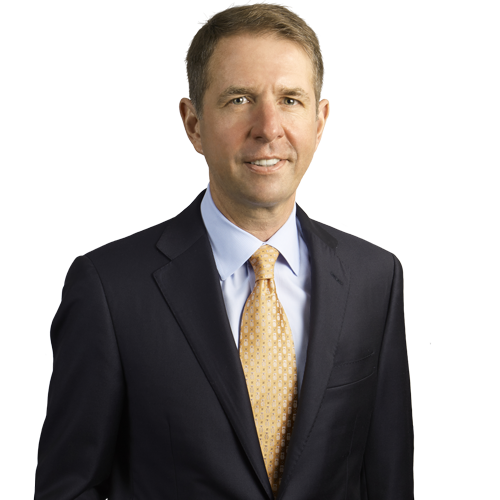 Prior to joining the firm, Tim was senior vice president and general counsel for Interstate Hotels, where he played a lead role and acted as primary negotiator of the merger for the nation’s two largest independent hotel management companies. He now has more than 23 years of full-time experience in the hospitality industry. Maintains an extensive and growing hotel transactional practice representing hotel owners, lenders, developers, real estate investment funds, franchisees, and management companies that includes successful consummation of multiple management, franchise joint venture and financing transactions in connection with hotels throughout the United States, Canada, Mexico, the United Kingdom, France, Belgium, India, China, Morocco, the Netherlands, Hungary, Indonesia, and Russia. Oversees a substantial hospitality practice providing legal services in connection with day-to-day hotel operational matters. “Doing Business in United States: Pennsylvania”	, co-author, PLC Cross-Border Handbook: Doing Business in . . . , 2010. “More law firms appointing dual CEOs to maintain client continuity,” Pittsburgh Business Times, May 17, 2017. “3 Things That Are Holding You Back From Making Partner,” Law360, November 19, 2015. “Supply, demand numbers make India attractive” Hotel Management, February 2012. “We Have an Agreement….Now What? Hotel Owner-Manager Dynamics,” panelist at Georgetown Law School Hotel and Lodging Legal Summit, November 2015. “Midnight Raid 2.0: Hotel Management Agreements Under Siege,” panelist, Georgetown Law School Hotel and Lodging Legal Summit, October 2013. “Hospitality: With Hotels, There’s More than Meets the Eye,” co-presenter, Eckert Seamans’ Continuing Legal Education (CLE), August 2013. “Negotiating Franchise and Management Agreements,” panelist, Georgetown Law School Hotel and Lodging Legal Summit, November 2012.